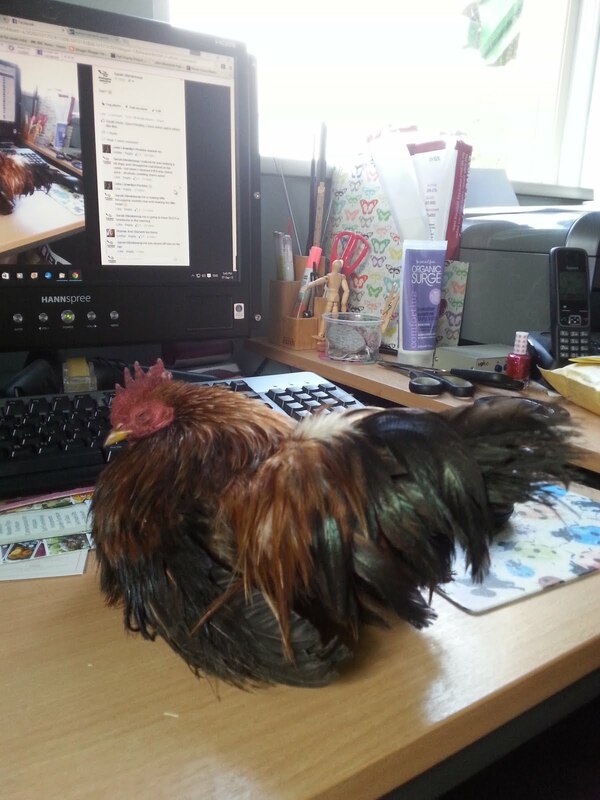 I have a drunken Algy Serama chicken sitting on my computer desk. As you do. Algy is one of the miniature chickens I take with me to shows and workshops. 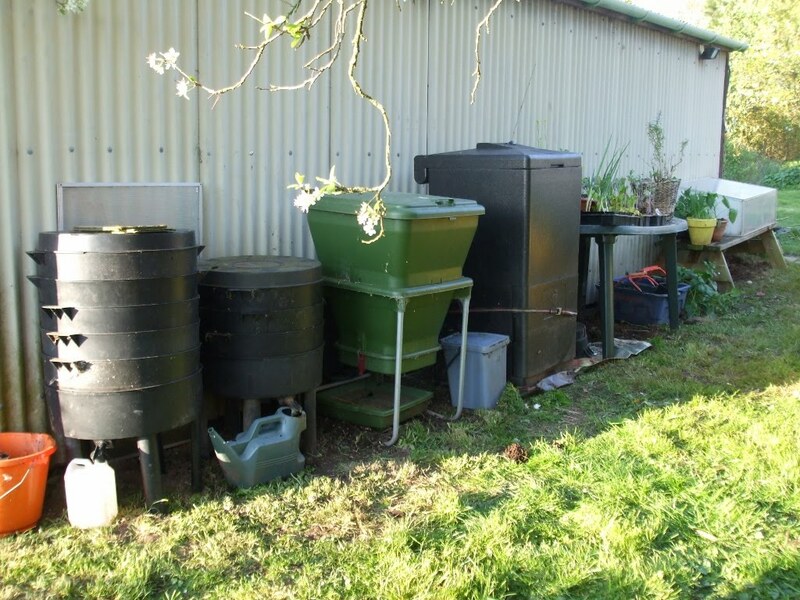 He has been at the over ripe fermenting sour cherries which are on the ground. 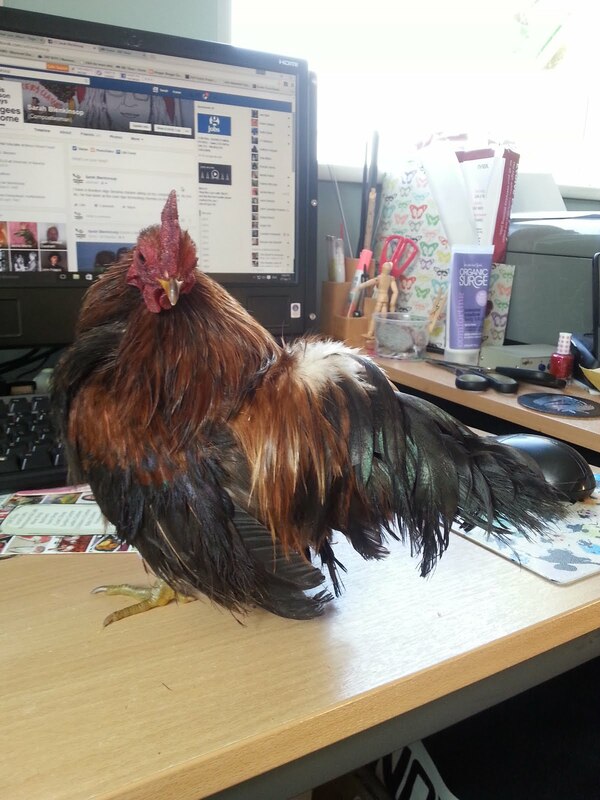 Algy the drunk Serama cockerel snoozing on the desk. He is making little hiccupping sounds now and shaking his little head . I noticed he was looking a bit dopy and I thought he had blood on his comb - but when I cleaned it off it was cherry juice - alcoholic smelling cherry juice!